Many developers out there are of the smaller size and tend to do minor project renovation works to sell on quickly for a profit. If you have a Renovation Plan then construction insure are here to help guide you on all the insurances you might need. If your Renovation Plan consists of an internal refurb for a property which you are managing yourself with the help of bona-fide sub-contractors then the best policy for you to take our would be a public liability insurance and an employer’s liability insurance. It would be advisable to have cover for Employers Liability as more then like these small projects could include the use of a labour only sub-contractor (someone who does not hold their own insurance). So when taking on a small renovation which could amount to 200k in works being undertaken there are plenty of elements to take into consideration. Doing a build is costly, but without the correct insurances in place the financial implications could be crippling. So we hope that with our renovation plan expertise we can show you how to protect a build so you can sleep easy at night. Whatever your renovation insurance requirements, please get in touch today for a free no obligation quotation. 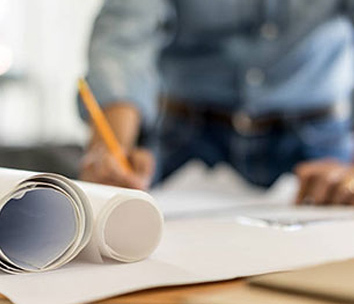 If your Renovation Plans are more than just an internal refurbishment and your Build Zone will enable you to add to the property in terms of an extension and a loft conversion, then you will need a builder who has a contractor all risks policy to cover the build which is outside of the original stamp of the property. You will need to make sure that the contractors contract works sums insured are enough to cover the works you are doing. Obtaining unoccupied building insurance for the property you have just purchased is vital. Many inexperienced developers buy the house to develop and either totally forget about insuring the buildings, or do not purchase the correct buildings policy to cover it. You must make sure that you disclose that the property will be unoccupied and undergoing works. Declare all the works that are taking place missing of nothing and making sure all structural works have been noted. 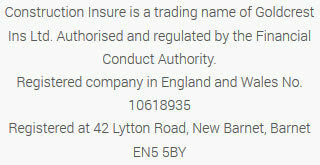 You also need to declare any previous claims the property has suffered in respect to flood / storm and subsidence. What some contractors take out is a JCT 5.4a policy which will name the Developer and the Contractor on a specific Contractors all Risk policy relating to that sole project. This way if anything does happen you can guarantee you are protected. We want to help you make your self-build as problem-free as possible. To find out how we can do that for you, please call us on 020 3958 6868 so we can talk to you about your build and get the cover that’s right for you.